Early 2016 has been full of generous donations, opportunities to offer holidays to families desperately in need of a break and, of course, planning for our 2016 challenges. You can see what we’ve got planned so far by taking a look at our “At a glance diary” at the bottom of this newsletter. Please, if you can, sign up for and spread the word about these fun-filled events that will help us to continue offering families living with serious illness and bereavement, memory-making holidays. Do you fancy baking some delicious cakes and raising money for THHN at the same time? After the sweet success of the last two years, THHN Bake Nominate Challenge is back for 2016. All you have to do is follow three simple steps: 1. Bake, 2. Donate (just text THNN00 £5 – or whatever amount you choose – to 70070), 3. Nominate (share a picture on social media and nominate three friends to take on the challenge). 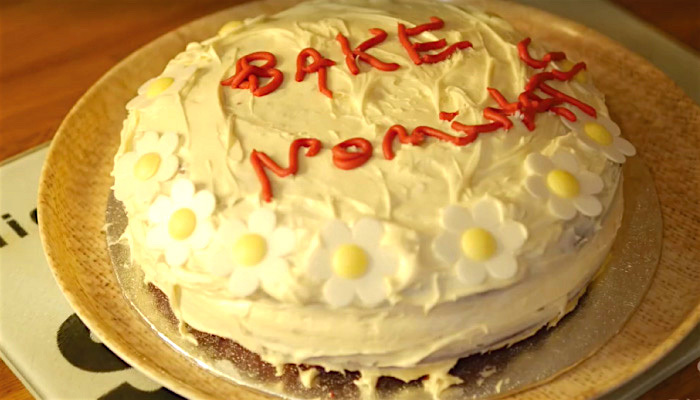 Don’t forget to use the hashtag #bakenominate. Enjoy! A massive thank you to our friends at the Torbay Hotel in Torquay who raised funds for THHN in 2015 through raffles, race days and other fundraisers for their guests. Torbay Hotel’s Simon Murray and Gary Price came to the THHN Memory Makers Charity Shop to present a cheque for an amazing £1,600. Even more amazingly, they have announced that we will again be their nominated charity for 2016. We are hugely grateful to Teignmouth Trotters for their generous donation of £520, along with a donation from their committee [is this correct? If so, how much. Instead of sending Christmas cards to each other, members of Newton Abbott-based running club give money to charity instead. They very kindly selected THHN for 2015. A big thank you from THHN to James Bunce and his colleagues at the Premier League for their £500 donation. Once again, instead of giving Christmas cards, they made a generous donation to THHN, helping to provide even more memory-making holidays. Luke Tillen was the guest speaker at the Monday lunch club held by the Upton Vale Baptist Church in Torquay. A collection raised a greatly appreciated £100. A huge heartfelt thank you to the masons of Courtland Lodge in Paignton, and their Worshipful Master Michael Locke, who this evening presented THHN founder Luke Tillen with a cheque for £1,677.40. The money was raised throughout 2015 at several different events, after choosing THHN as their charity of the year. Nuala Fenton, raised a fantastic £141 by taking part in our Santa Sunday Fun Run. She came along to the THHN Memory Makers Shop to present THHN with the money she’d raised and be awarded her THHN Fundraising Certificate. A very big thank you, Nuala. Our immense gratitude to the Rotary Club of Totnes who presented THHN director Martin Brook with a cheque for £400 on 29 February. The money was raised by the Rotarians throughout 2015. In February we welcomed families to stay with our good friends at Volmero Holiday Apartments,new supporters Glendower Bed & Breakfast & Compton Pool Farm. A heartfelt thanks to them and to all of our super business supporters, who helped make their holidays very special. Join the Team THHN runners at the Torbay Half Marathon, we have charity places available. 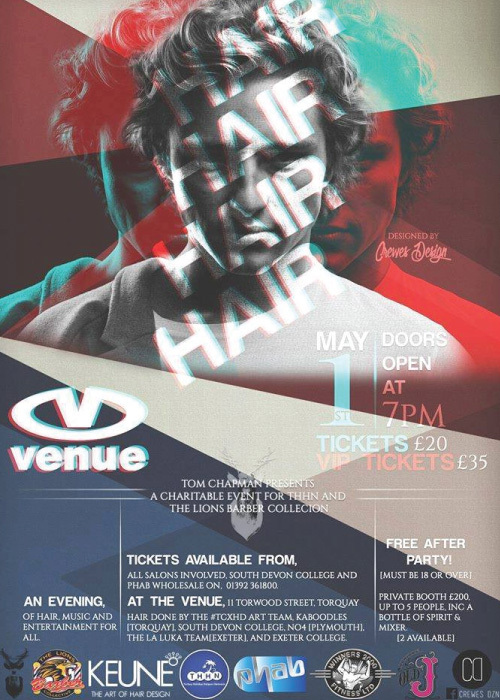 Tom Chapman Hair Design is staging a spectacular charity event featuring hair, music and entertainment with proceeds going to THHN and the Lions Barber Collective. It will take place at the Venue Nightclub on 1 May. Tickets from £20 available from Phab Wholesale, tel 01392 361800.